Can you imagine your life without Airedales? The answer must be “No” or “ Never”. 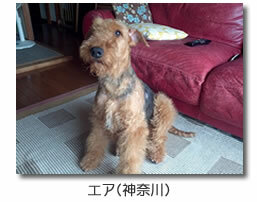 Airedale Terrier Club Of Japan is just for you, Airedale lovers. Our schedule for the year is full of fun. You enjoy 3 - 4 championship show and 14 trimming seminars. Breeding seminars and handling seminars are also instructive. 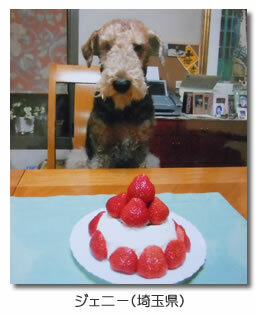 We can’t miss exciting parties such as a Christmas Party and a New Year’s party and Airedale Fun Day!! Our head office is in Tokai area. Do you live in Okinawa or Hokkaido? Are you afraid of getting behind? Don’t worry! We can keep in touch with all members through Airedale bulletins, email, E-mail news and HP. Why don’t you join us ? We collect an essay for the newsletter we issue every four month. 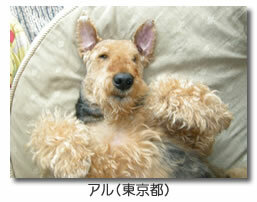 Can you tell me about your Airedales and send some pictures? I'll introduce it on our newsletter as "Hello from abroad".